Ace839 - Philly,PA Great proy "Every Harley mechanic should have this product in there tool box." English Powersports - Pensacola FL best silicone "i have rebuilt at least 20 dirt bikes using only 1 of these! i still have about half of it left... 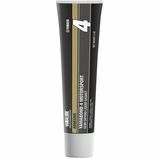 This is what Yamaha suggests you use on crankcases of the 2 stroke YZ85,125,250 etc its never failed me and this sticks MUCH better than any other silicone and good news is IT DOES NOT DRY OUT when you put the cap back on and store it for a few weeks. WORTH THE MONEY!"